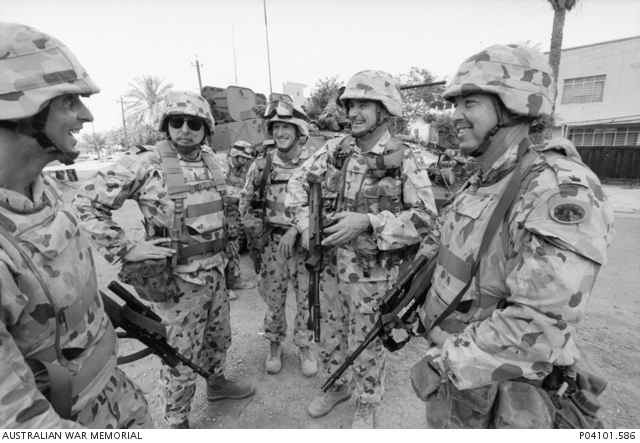 On 20 March 2003, a combined force of American, British and Australian troops under US leadership invaded Iraq in what was termed ‘the Second Gulf War’. Their object was to locate and destroy suspected ‘weapons of mass destruction’. Small but highly effective Australian army, air force and navy elements assisted the operation. Within three weeks coalition forces had seized Baghdad and the corrupt and brutal dictatorship of Saddam Hussein was overthrown. However, no weapons of mass destruction were found.